Global warming is no longer a myth. It’s a perilous environmental problem that threatens the entire human population, and non-profit organizations, such as the World Wildlife Fund (WWF), have been continuously spearheading projects aimed to overturn the effects of global warming. One of those innovative initiatives is the Earth Hour City Challenge, a year-long competition that encourages cities all around the world to promote alternative energy and help stop climate change. On January 25, 2015, WWF announced Vancouver as one of the finalists of this year’s challenge. The city’s mission to become a world leader in the development of sustainable living and environmentally friendly solutions has earned them a chance to vie for the honor of being crowned the Earth Hour Capital. Vancouver aims to become the Greenest City in the World by 2020, starting nearly a hundred initiatives in an effort to make it happen. With everyone being concerned about the environment, turning to renewable sources of energy has become a popular choice for many. 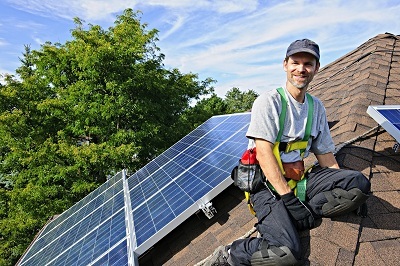 Those seeking to bring solar energy to Vancouver houses can directly install photovoltaic panels to help power homes. Homes with access to solar energy can save on power bills and have an always-ready back-up source of electricity. Before you begin counting how much you can save, however, you have to make sure that your home can handle solar panels. 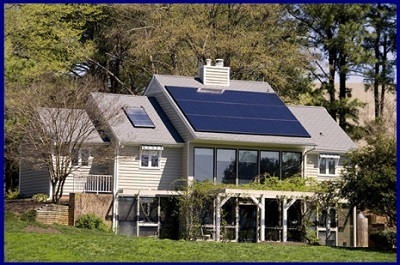 The biggest factor in checking whether a house is ready for solar panels is space. The ideal situation is to have a large, flat south-facing roof. This maximizes the amount of light that the solar panels can be exposed to. It would even be better if the roof was completely flat instead of sloped. Vancouver just became one of the latest cities to pledge commitment towards using 100 per cent renewable energy. The Guardian reported that the Canadian city targets to use only green energy for electricity, as well as transportation, and heating and cooling in 20 years. Vancouver made the announcement during the ICLEI World Congress 2015, a triennial summit dedicated to sustainability attended by local governments around the world. It was emphasized that around 70 to 75 percent of carbon dioxide (CO2) emissions on a global scale come from cities and urban areas. That’s why this decision would have a significant impact towards the efforts to avert climate change. However, since solar technology goes into sleep mode during sunless days, a lot of homeowners are apprehensive about it. Thus, companies that produce solar power for Vancouver—like Terratek Energy Solutions, Inc.—work to address that concern. For instance, the Grid-Tie system is backed up by a battery bank which is only to be used when power is not available. Another example of these solutions is off-grid power systems, which can produce solar power for Vancouver, Vancouver Island, and Okanagan homes without the need for grid service. Other solutions may also incorporate hybrid systems that include extra battery banks or generators well-suited for electric bill-free, blackout-proof, solar-powered homes. 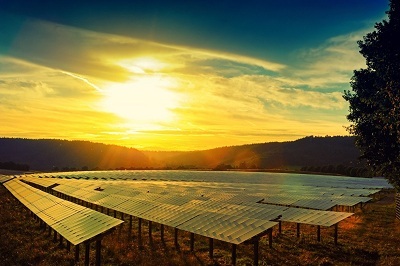 The civilization’s dependence on fossil fuels and their dwindling supply have prompted many businesses and residents to take a long, hard look at renewable energy sources like wind, geothermal, and solar. Detractors have raised their concerns, but the long-term benefits of renewable energy far outweigh the limitations, as described in Conserve Energy Future.